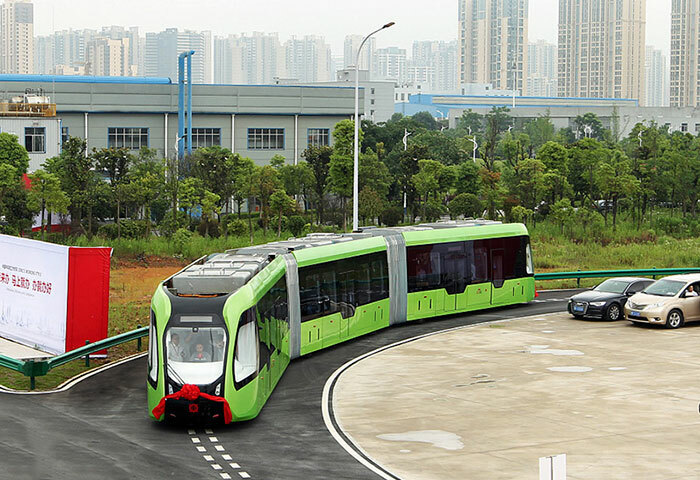 China, the country is known for its effort to push boundaries and creating world’s first yet smart technologies is recently unveiled the first ever ‘ART’ train design which is sort of bus, tram hybrid and train all in one tech. 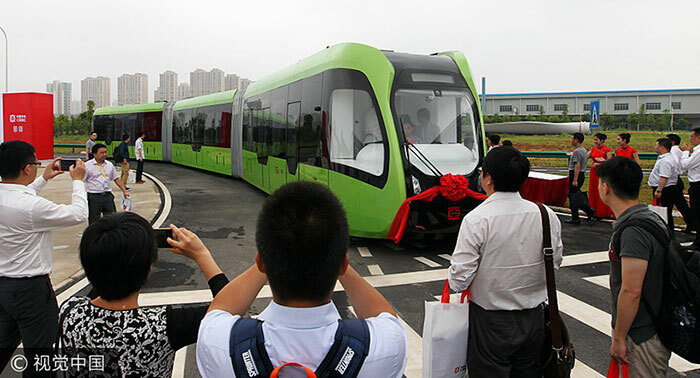 Rather than the normal metal rails, this newly driverless train will follow white dotted lines painted on the roads as it runs on rubber tires instead of metal rails. #According to a report by Chinese state media Xinhua, it’ll cost less than subway tram tracks because $102 million for just one kilometer of subway track required while this ART needs $2 million only. #The current 4-mile track is planned for the Zhuzhou(Chinese city) and will be operational in 2018. #300 passengers at a time can board on this train but further in future promises up to 500 people. 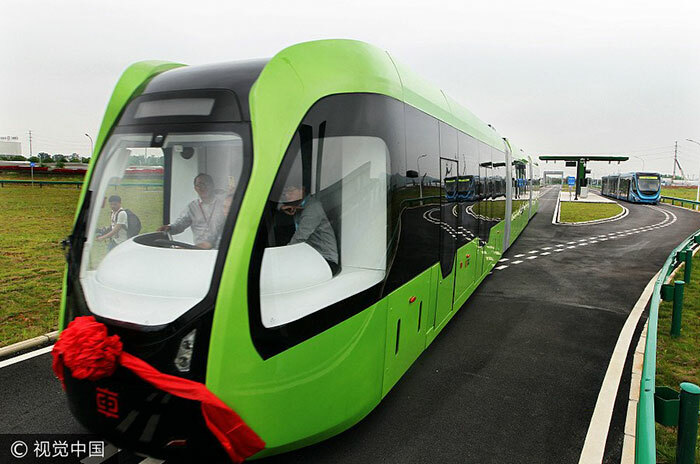 #The 30-meter long driverless train is guided by white lines on roads and pavements that are known as virtual rails. China’s another world’s first is amazing! Also Read: You Should Drive These Most Dangerous Roads Only At Your Own Risk!